Apparently, mistletoe can work more miracles than just helping break the ice in those office parties. Stop bothering your kids and let them eat all the candy canes they want. UFO photographed in Cannock. Doesn’t look like a sleigh, does it? Archeologists find gold coins at the Holy City. The Frankincense and myrrh are still missing. The perfect gift for your Otaku boyfriend who is an ignoramus when it comes to Politics & Economics: a Manga edition of Marx’s ‘Das Kapital’. Oh! and in case you were wondering? the bankers are having a VERY Merry Xmas this year. Go ahead and indulge yourself with your traditional Xmas cigar—Cohiba? cool!— Canadian medi-boffins are working to get you mint-condition replacement lungs. Snowtastic sculptures will amaze tourists at the upcoming Harbin International Ice and Snow Festival, in China. Meet the Japanese who claim to be descendants of Jesus. I dunno dude… Sushi for Xmas seems like a No No. Move over, Christian Bale! This is the real BATMAN. Psst! Before you go… can I have your autograph? Neither Dave Gibbons nor Alan Moore were aware in the 80’s that they were destined to make the Citizen Kane of comics: ‘Watchmen’. Here’s a lengthy interview with Gibbons @ Wired, concerning his new book Watching the Watchmen (Amazon US, & UK). The great Twilight vs Harry Potter debate: Questions #1 & #2. In Britain, 29% of science teachers believe Creationism should be taught alongside Evolution. After he recovered from his cardiac arrest, Richard ‘Ebenezer’ Dawkins responded thus; which in turn provoked this counter-response. The BAD AStronomer discusses the Dover “Monkey” trial of the XXIst century: Simon Singh vs the British Chiropractic Association. You gotta give credit to him: Zahi Hawass is one dedicated — and prolific — Archeologist. A tourist project has been aborted to protect the pyramids at Teotihuacan. Crucifix attributed to the great Renaissance master — and my favorite Ninja Turtle — Michelangelo is on display in Rome. Obama chooses Abe Lincoln’s Bible for his inauguration swearing-in… for good luck? Have we all been duped by the “Don’t be evil” Google mantra, and unknowingly ceded to our right of free speech? Gloria-Lee Byrd: Alien Contactee… & Anorexic. Who says the dead are idle? In a Spanish town, they’re the ones who provide the energy. Drillers make First Contact with Inner Earth & strike magma. Quit buggering my Mom you perverts!! JibJab’s 2008 year in review (they even mention the Georgia Bigfoot hoax!). Thanks to my TDG compadres Greg, Kat, Rick, Turner Young, Perceval & Jameske. But also thanks to YOU, all the Grailers out there —Both the commenting ones as well as the Read-only ones— for teaching me so much & making this place the Greatest. Site. Ever!! Happy Holidays, and I’ll see you in 2009. Well, it’s almost Christmas Day where I live and so, although I’m not a Christian, allow me to wish those here a very Merry Christmas, a Happy Hanukkah, and for my fellow Pagans, Io! Saturnalia! May the Gods bless us, one and all, and grant to us a healthy and prosperous New Year. Thanks Red for giving up your holiday time to bring us a news list. You’re a legend! 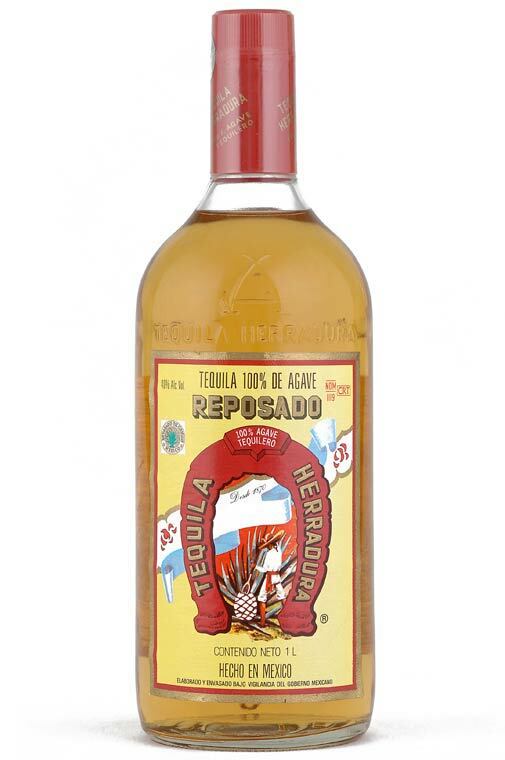 I used to be partial to Hornitos reposado, but I can’t get it where I live now. I’ll light up some of Portland Oregon’s finest to salut you all! And listen to Willie Nealson’s “The Little Dealer Boy”. Funniest new Xmas song of the year! Call me a barbarian if you like, but I actually prefer Cuervo Black over Patron. In fact, I really like Cuervo Black a lot. Poir about 4-5 fingers into a glass and enjoy. No citrus, no mixer, no ice, just straight. To tell you the truth Gwedd, I wouldn’t know about the quality of Cuervo Black and Patron. The reason for this is that those brands of Tequila are made exclusively for import. Now, call me a purist, but a Tequila that you can’t buy in Mexico is probably not the best that money can buy. Also, casa Cuervo is not known for the quality of their products here in Mexico. I don’t like Patron tequila for two reasons. One, it is too smooth. I prefer tequila with a taste that lets you realize the seriousness of the situation immediately. Two, the stuff is hellishly expensive. Never tried Cuervo Black, I don’t know if they sell it here. The other Cuervo products are awful, for my taste. Like I said above, I’m usually a bourbon drinker, but I saw a bottle of the Cuervo Black and it piqued my interest so I bought a bottle. 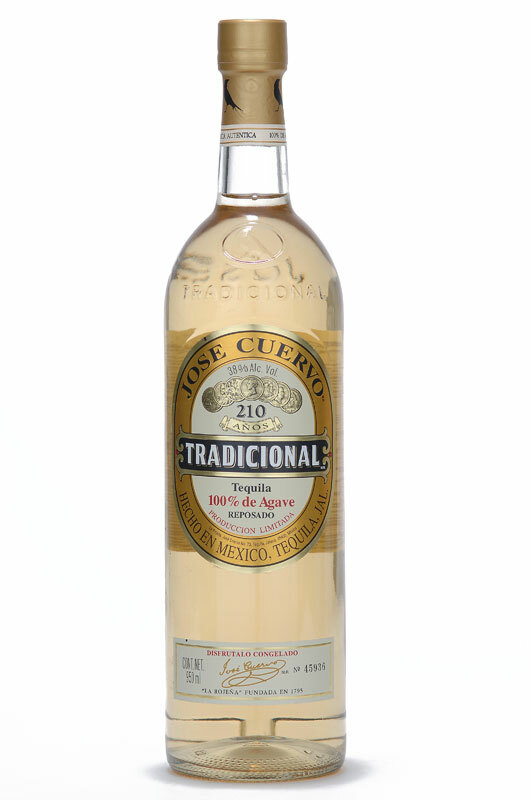 It’s much smoother and kinda smokey tasting than any of the other Cuervo brands and I liked it. 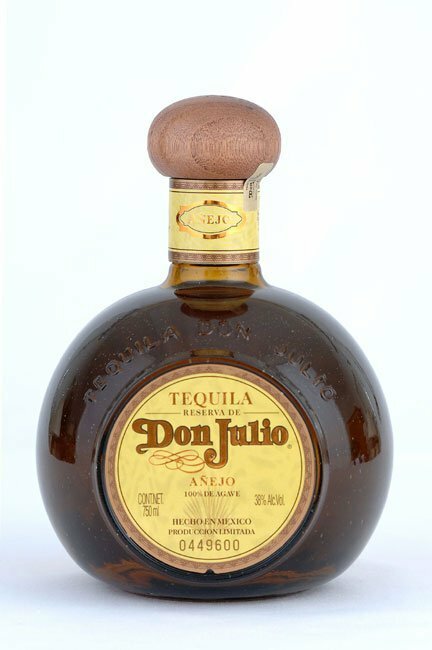 The smoothness of Tequila depends on two reasons: the quality, and the aging period. But the very first thing one should notice before buying a bottle, is that in the label it should read ‘100% Agave’. If it doesn’t say that don’t even bother: that Tequila is not 100% pure and it’s mixed with sugar-cane alcohol. Now there are three main kinds of Tequila: ‘Blanco’ (White), ‘Reposado’ (Rested), and ‘Añejo’ (Aged). White Tequilas are the strongest ones, like Earthling said. They are perfect appetizers when you’re serving snacks of cheese, smoked ham, guacamole & nachos etc; My dad’s favorite brand is Herradura Blanco; but there’s a way to know if a white Tequila is of good quality: after pouring the drink in the glass (with a separation between it and the bottle of about 6 inches) several pefectly round, compact & resistant bubbles should be present at the top; these are called ‘pearls’ and are the sign of a good white Tequila. 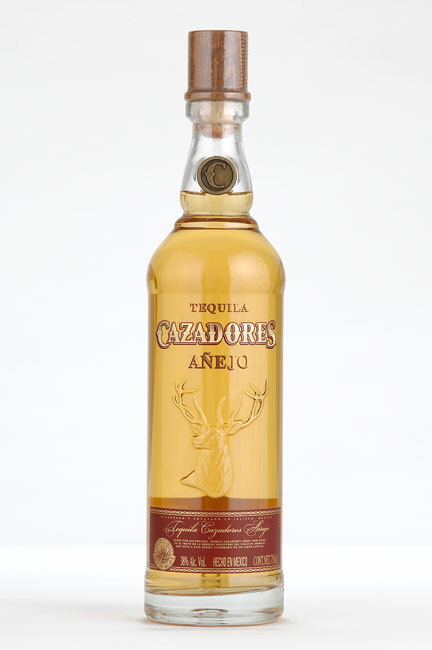 The ‘Rested’ Tequilas are the ones that were kept in their barrels for at least 2 months. They are smoother and more prefumed, and are often used to prepare mixed beverages like ‘Margaritas’, ‘Charros Negros’ (Tequila+Coke+lime twist) or ‘Palomas’ (Tequila+Squirt softdrink+lime twist & salt). 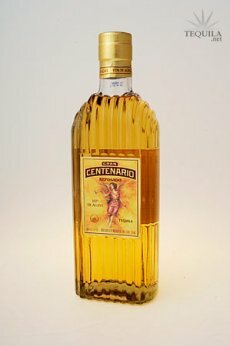 There are several good Tequilas of this type: Sauza Hornitos, Herradura Reposado, Centenario, Cazadores (not so good, but passable specially if you intend to mix it), Cuervo Tradicional (like Gwedd said most of Cuervo products are pretty lame, this one is IMO the exception to the rule), etc. Where do we find a good Caribbean source for information about rum? My dad’s favorite drink used to be Bacardi white. Since there’s a Bacardi plant in Mexico—designed by Architecture legend Mies Van Der Rohe, BTW— it is a very affordable rum. My brother-in-law Mauricio likes a brand called ‘Flor de Caña’. When I started drinking—And yes, it was in my teens, but take into account that in Mexico the legal age to drink is 18; that’s why American college boys love to come here in Spring Break— I used to take Cuba Libres; but I got tired of it’s sugary taste and now I favour other things. A very nice dark rum is “Pussers”. It’s a Navy rum, and made by the same company that made rum for the royal navy since Hood’s time. I pour about 3 finger’s measure into a glass, and then add a splash of Rosa’s lime juice (although any lime will do), and enjoy. Lamm’s Navy Rum is similar and also quite good. There’s another whose name escapes me at the moment, but it has a Bat on the label. Also, Black Seal isn’t a top shelf Run, but IS a very tasty decanting. I admit to having had some good evening’s with Bacardi Select, although I prefer Pusser’s if drinking rum. Just saying. Bacardi white was my favorite too! Also Mount Gay, and another small island rum, a rich golden brown. But the Bacardi Bat and I started hanging out for breakfast, lunch, and dinner, and became the said meals. Soooo it had to go or me. try Guyanese D’Aguiar’s Demarara 15 y/o, or if you can afford it (@200US/bottle, the 25 y/o. Won Best rum in the world, for 4-5 years in a row. You make an excellent point. However, being a Navy man (retired) I will tell you that, as much as Demarara is like mother’s own milk to the mouth, after the first glass or two, it tends to taste the same as everything else. Also let me express my appreciation for the hijacking of this thread. Red posted a typical good mix of Science, Magick and History, as is proper for TDG. “Also let me express my appreciation for the hijacking of this thread. Red posted a typical good mix of Science, Magick and History, as is proper for TDG. Why yes… yes they are! I have always found that the very best conversations are those which start with some premise, then wander all over the map before ending with no one remembering where they began. You learn so very much more that way. To those who celebrate it, Merry Xmas. Thank you for the most excellent surprise-these posts. Speaking of which I copied the photo from the page and found that it is a bad cut and paste job. One can actually see the outline of the paste at about 500 zoom. Not nice of these people. I simply deplore this kind of thing happening, however it did make the local news, but Ufology doesn’t need another hoax. However, I know it will not be the last. Gah, the vitriol. I wonder if he had his hands on his hips and was looking into the sky when he typed this… Luckily we have a leader such as him to lead us. I did type a response to him on his blog but I’m sure it will never see the light of day. This skeptic thing is very weird and definitely cultish, and now unabashedly so. To me it’s right up there with Scientology in its attempt to convert and oppress. I only hope that most people will make up their own minds about reality. I think the biggest problem with Phil is that, whenever he goes on to debunk something that’s outside his professional specialty, he merely regurgitates the usual skeptic mantras instead of actually investigating beforehand. Having said that, I admit that chiropractice trial should be most interesting, and if the guy who denounced the chiropractics actually wins, it could stem to other areas such as Homeopathy, Bach flowers, Reiki & all those therapies which cost sick people a lot of money, and might not be that useful after all. I’m not against alternative therapies, but I do think they need to be regulaed and validated by some sort of independent association. Well, I’ll say this much: Chiropractors ought to be required to show the proof of their “science”, or be jailed and made to pay some onerous fines. To my mind, there is a special place in hell for chiropractors, homeopaths, and other charlatans who take good money from poor people for what amounts to fraud. I’m personally ambivalent toward homeopathy. I understand the scientifical improbability of their claims; but when I was a kid, I suffered from asthma, and I was cured with homeopathy. So can that be explained by placebo effect alone? Many children suffer from juvenile asthma and grow out of it as they mature. In most cases it has to do with the body having a reaction to an allergen. As they mature, the children’s bodies develop the means to either fight this allergen, or neutralize it. Two of my children had asthma when young, but by age 13, with the onset of puberty, had completely lost their symptoms. That could be it. However as I recall, my asthma disappeared at a much earlier age—in fact I’m lying, since I don’t really remember having asthma or suffering the attacks that let me looking like a Smurf according to my mother— and I don’t think my family made any significant enviromental changes that could have helped me in my condition— my dad continued smoking many more years after I got cured. So the thing is asthma is still scarcely understood. Maybe he basic idea of the homeopaths might be the right one—i.e. exposing the body to several allergens in order to help the immune system recognize the real threats—the prolem of course is this idea that the more you dillute a solution the more powerful it effects get—as if water had some sort of ‘memory’. I dunno. I will tell ou this though: My mom has kept her faith in Homeopathy and she used to treat all my colds and minor affections with it weel into my teens. I think that I started to switch mainly to aleopathic medicine when I got Hepatitis. And my sister still treats her two children with Homeopathy whenever hey get the flu too; it takes longer, but they get cured in the end—would they get cured on their own without them? Maybe. I hate to use this word “ignorance”, but it springs to mind. The real fraud is the medical establishment that most have been programed to trust. Having said that I am sure that Sound theropy, light, colour and essence all play a role in healing and calming the physical body. If people only took a little time to understand how this vehicle they call their body works, then they may have no need for medications and manipulation. I personally don’t go near doctors, there dangerous. But Remedial theropy which is close to this threads concerns would be the only second party I would see. But if one has a bone or joint slightly scewed it can cause many symtoms in other parts of the body. When rectified by a chiro’ will have many benificial effects. But the muscles and ligaments need attention as well. Massage is good for this. Please do not put so much weight behind a very deficient and ignorant scientific establishment. They are still learning and have a long way to go. Understand your own body first and then you may also be problem free. Is the result of not being exposed to other ideas. Stupidity is failing to take advantage of what resources are available to deal with the problem at hand, in a manner most likely to achieve a satisfactory outcome. Chiroprators are the modern version of a shaman, without the shaman’s skills and abilities. They are frauds, charlatans, and a danger to the health and well being of the species. People who allow their children, especially, to be treated by chiroprators should be reported to the authorities for investigation of abuse, as that is exactly what they are doing. Using herbs, scents, massage, color therapy, etc, are fine for working on the mental symptoms of any disease or injury, and for some forms of pain management, but skilled physicians, with access to proper medicines and surgical treatments are light-years ahead of anything else we have. Apparently the “c” key is sticking on my keyboard. your first three lines are more or less what I meant but totally contradict the rest of your post. We all are intitled to our opinions based on our experiences. Maybe this professional is expressing his based on his experiences. of chiropractors. They align you’re bones. Thye don’t prescribe homeopathic or natural herbs/remedies. Not where I live anyway. Without chiropractic, massage, yoga, and meds. I would not function. My insurance pays for my chiropractic visits, and the meds(not the massage or yoga), would they if it wasn’t without scientific backup? No. Did you have a bad experience with a chiropractor, what is your reason to disbelieve in their effectiveness? In the US they’re even in hospitals. Ironically 2008 was supposed to be a good year according to Chinese (and many Asians) because 8 sounds similar to the Chinese word which means “prosper” or “wealth”. Therefore the Beijing Olympics were held on the 8/8/08 at 8 seconds and 8 minutes past 8 pm and everyone everyone thought the Olympics were good (the 42 billion dollars spent on it could have helped a bit…). Notwithstanding the Olympic 8/8/08 at 8 seconds and 8 minutes past 8 pm came the (hope you don’t) Got (Chinese) Milk Scandal which was an effective Olympic counterbalance. Not to mention all the other nasty financial meltdowns which have gone on to underscore that the number 8 just follows number 7 and presides the number 9 and that’s it!